The Laredo Lemurs get a combination of strong pitching and timely hitting as they pick up a 5-3 win and to 2-0 in the early going in the American Association season. Lemurs starting pitcher Mark Serrano gave up a run in the first to the RedHawks, but he quickly settled down shutting off the scoring valve until the RedHawks scored again in the sixth. Serrano threw six, giving up five hits, two runs, while striking out three, to earn a victory in his first start in independent baseball. The Lemurs got on the board in the bottom of the first inning to tie the ballgame up at one a piece. 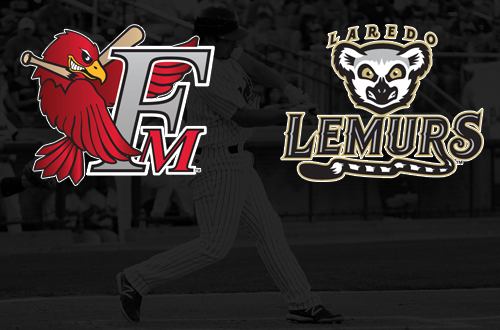 Then Lemurs struck big in the third against RedHawks starter Alex Caldera, putting up three runs after the first two batters got out in the inning. Sawyer Carroll and John Allen earned back-to-back walks, putting runners at first and second base. Then Jon Gaston would then come to the plate and he would come through with a double to drive in Carroll. Mike Sheridan would keep the rally going as he picked up two RBI's with a single that drove in Allen and Gaston to give the Lemurs a 4-1 lead. The Lemurs would put another run on the board in the seventh in the 5- 3 win. Alex Caldera took the loss for the RedHawks as he pitched five innings, giving up eight hits, four runs, while walking four and striking out four. He moves to 0-1 on the season. Mark Haynes earned the save for the Lemurs as he struck out he first two batters he faced in the ninth.